The player chooses one of six X-Men: Cyclops, Colossus, Wolverine, Storm, Nightcrawler or Dazzler. Their objective is to stop the villain Magneto from wreaking havoc on human civilization. They must fight through enemies from the comics such as an army of hundreds of Sentinels, mutant crocodiles, Reavers and supervillains such as Pyro, Blob, Wendigo, Nimrod, The White Queen, Juggernaut, The Living Monolith, and Mystique. Later, Magneto kidnaps Professor X and Kitty Pryde, prompting the heroes to go on a rescue mission. 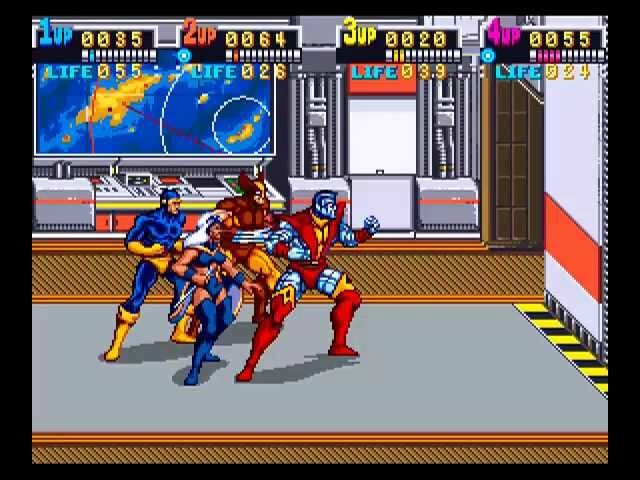 The heroes fight their way to Island M and ultimately to Magneto's base on Asteroid M where the final battle takes place.